The beginning of his career was marked by three events: In 1949 both Wilhelm Furtwängler and Herbert von Karajan engaged the still-unknown young artist as soloist for their concerts in Vienna. In 1950 he substituted for the ailing Edwin Fischer at the Salzburg Festival on short notice, immediately becoming an international celebrity. Yet perhaps his longest-lasting success was due to his recordings for the long-playing record, then a new medium. His early recordings on LP, starting also in 1950, brought him worldwide recognition, so much so that his first recital in New York took place before a capacity audience, one that had known him only through his recordings. 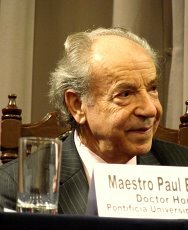 His international career started with three large concert tours, in Australia in 1952, USA and Canada in 1952–53, and Latin America - from Mexico to Brazil and Argentina - in 1953. In 1956 he conducted the Vienna Symphony Orchestra's chamber ensemble in a successful tour throughout Italy, followed by concerts and recordings in which he conducted the Vienna Chamber Orchestra. Other milestones in his early career were his first tour of Japan in 1959–60, a country to which he has returned innumerable times to the present day, and his first tour of the Soviet Union in 1964. 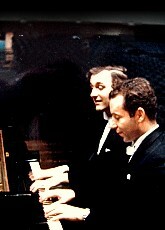 Paul Badura-Skoda was the first Western pianist to perform in China after the end of the Cultural Revolution. He has also played in Kenya, Tanzania, South Africa and Egypt. During the Beethoven bicentennial year in 1970, he performed the complete 32 sonatas in many of the world's great musical centres (Paris, Mexico, Chicago and others), followed by similar Beethoven performances in Vienna, Berlin and London. During the Mozart year in 1991 he played 140 concerts throughout the world, including Vienna, Paris, Madrid and Tokyo, featuring compositions by the Salzburg genius. His numerous recordings run the gamut from Bach to Frank Martin. He is the only pianist to have recorded the complete Mozart, Beethoven and Schubert sonatas on both modern as well as period pianos. His CDs and DVDs with works by Bach, Haydn, Brahms, Chopin, Schumann, Debussy, Ravel and others have won several prizes by critics. Badura-Skoda's numerous writings reflect his search for truth in music and life. It always has been his endeavour to understand the composer's intentions and to correct widespread errors in performances and musical publications. 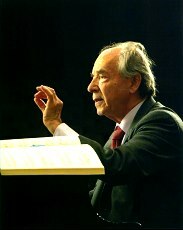 While his own compositions are in the style of the 20th century, he has specialized particularly in the compositional style of the 18th and early 19th centuries, completing unfinished works by Mozart and Schubert and writing cadenzas for works by classical-era Viennese composers which match their respective personal style. His personal encounters with great personalities—not only in music—have made a lasting impact on him and contributed to his artistic and personal development. Edwin Fischer, his admired model from an early age, became his teacher and mentor between 1948 and his death in 1960. The composer Frank Martin (1890-1974) wrote two works for Paul Badura-Skoda (2nd Piano Concerto in 1969 and the Fantasy on Flamenco Rhythms in 1973) and became his personal friend. The composer Paul Hindemith treated him with kindness and appreciated his performances of his works. A deep friendship developed between Paul Badura- Skoda and the great violinists David Oistrakh and Wolfgang Schneiderhan, the latter of whom collaborated with him regularly starting with the 1950 Salzburg Festival. 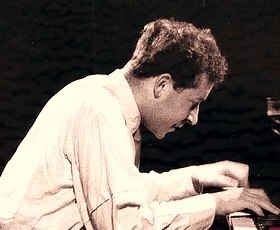 Paul Badura-Skoda formed a legendary piano trio together with him and the cellist Boris Pergamenschikoff. A lifelong friendship still unites him with Jörg Demus, his duo partner of many years—not to mention the inspiration he received from great pianists such as Alfred Cortot, as well as conductors (Wilhelm Furtwängler, Hans Knappertsbusch, Josef Krips, Georg Szell, et al.). Today, Paul Badura-Skoda considers it his primary task to "pass on the torch." Apart from his concerts and recordings on CD and DVD, he communicates his knowledge and experience to selected gifted young artists. He particularly enjoys conducting youth orchestras in the East and West, inspiring them through his love of music. For him, music creates community and is our strongest hope for a better world to come. 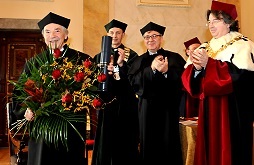 Paul Badura-Skoda has received many honours and distinctions, among them the Österreichisches Ehrenkreuz für Wissenschaft und Kunst, Grosses Silbernes Ehrenzeichen mit dem Stern für Verdienste um die Republik Österreich, Goldenes Ehrenzeichen für die Verdienste um das Land Wien, he is Chevalier de la Légion d'honneur (1993) and Commandeur des Arts et des Lettres (1997). He is the current holder of the Bösendorfer Ring.